"Whatever we encounter is a possibility to continue on our way." 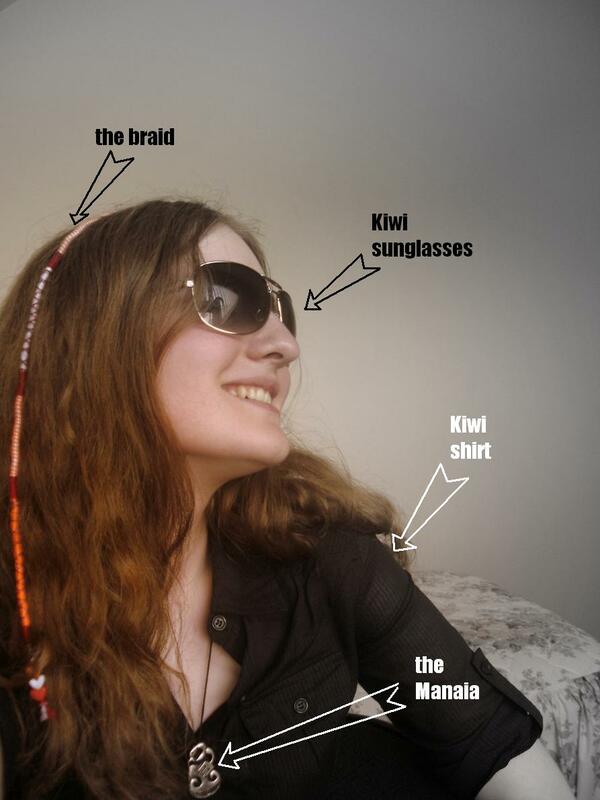 Number one and a half: I’ve got a manaia. I like it. Number two: I now have a braid (a rewinded strand) and get closer to my very personal style. 😉 I’ll upload a picture of me. I’m a bit confused right now because I’m still not homesick at all. Right now I just think I would like to see you all. I’d really like to. But I don’t really have to, you know what I mean? But I feel there’ll be a time yet to come that I’m getting really homesick. Nevermind. This entry was posted in THE PARTS - Updates and New Stuff., THE SUM - Travelling and Living. and tagged braid, choir, eaves bush, festival, haka, homesickness, manaia, orewa. Bookmark the permalink. good luck for your solo!! great!! manaia hab ich in Leo nachgeguckt, aber dazu findet er nichts. Ist das ein sehr spezielles Wort, oder hast du’s vielleicht falsch geschrieben? Hach jaa… Heimweh… Viel zu kurz… Alle sagen mir, dass es viel zu kurz ist und dass ich hierbleiben wollen werde. Vielleicht sollte ich echt verlaengern. Du hast ja wirklich total viel vor. Hast du denn da noch Zeit, das alles auch noch zu verarbeiten? Noe. Das mach ich dann zu Hause.